Monkey thinks the Miata is overrated, but takes another stab at it to reevaluate his position. 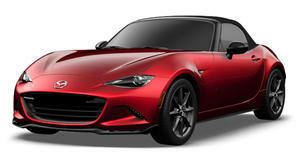 A few years ago, British auto scribe and perennial video host Chris Harris took his sword to the Mazda MX-5 and was heavily chastised by the roadster&apos;s considerable fan base for finding the car uninteresting to drive and claiming the widely held opinion that the MX-5 epitomized sports-car excellence was misplaced. This daring outcry made Harris the nemesis of many of the Miata&apos;s loyal fans, including the guy that shoots and edits his "Chris Harris on Cars" videos. In an attempt to see whether he was wrong and do get to the bottom of why the MX-5 is held in such high esteem, Monkey drives the car around some glorious Welsh roads to garner a fresh perspective. Do his original sentiments change? Watch the video to find out.